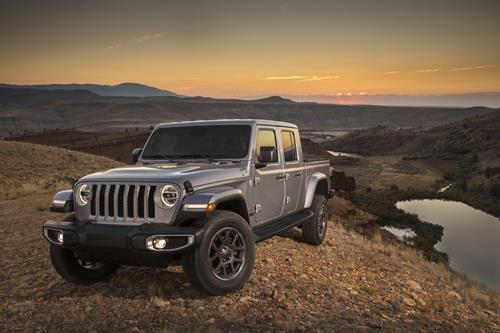 Jeep has unveiled its four door ute. 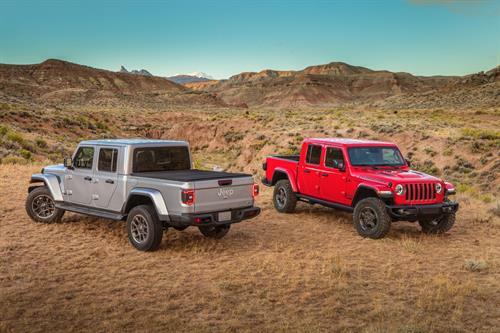 Named Gladiator, it’s a Wrangler clone from the front until the beginning of the tray. From here it gets big. 5.5 metres big. 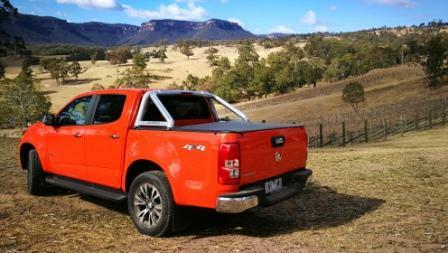 The tray itself has a unique imprint which is part of the aim to have it seen as a lifestyle vehicle, not a “tradie’s ute”. For the family oriented, a dirt bike imprint in the front of the tray says straight away it’s for fun, not work. Backing that up is the set of four tie down points to help strap in the two wheelers. Jeep have also ensured that when the going gets tough, it’s up to the task. The body underneath is steel, ensuring there is plenty of strength. The lower sides of the Gladiator are alloy. 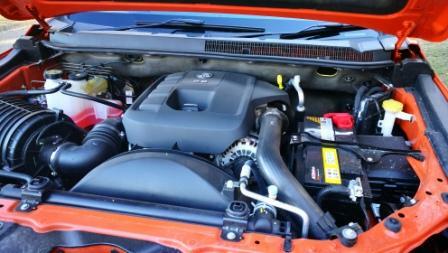 Power will come from the 3.6L V6 petrol, and eventually a 3.0L diesel. Drive to the ground will pass through an eight speed auto with six speed manuals available overseas. Both engines will have ESS, Engine Stop Start, and the petrol engine will pump out 212kW. Peak torque should be around 350Nm. 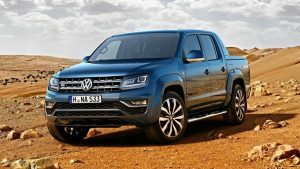 The diesel’s peak torque should be nudging 600Nm. Grunt gets to the dirt or tarmac via front and rear lockable diffs and sway bars with electronic disengagement. These go with a design line from Jeep: fit a 1.5m long tub, serious off-road chops, and carry a full sized spare wheel underneath the tray. That’s a hefty part of the brief, that last part, as in Rubicon spec the wheel’s overall diameter is 35 inches. And being Wrangler based, a removeable roof and doors, along with a folding forward front screen comes as part of the package. Inside it’s standard Jeep, with a squared, blocky, design ethos. An infotainment screen of 7.0 inches or 8.4 inches will provide smartphone access and mirroring, and in the Rubicon will show pitch angles, plus a front facing camera shows the driver the forthcoming trail. This can be of importance as the length of the Gladiator means that agility may not be up to the standard shorter vehicles have. 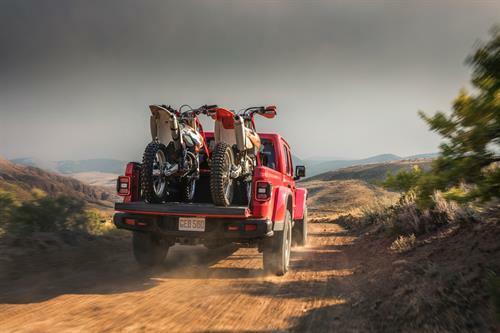 However, the Gladiator will have a ride setup at the rear that’s been adapted from the even bigger RAM1500, meaning that the jiggly ride a shorter wheelbase car may exhibit should be pretty much dialled out. Want to go “swimming”? The Gladiator will ford up to 30 inches. Estimated prices are somewhere around $55K as a starter with a current estimated top whack of around $80k. Naturally these are subject to change. Register at Jeep Australia’s website for upcoming information. OK, in my previous post on this topic, I covered the legal stuff to do with taking dogs in cars. Now we get to the fun bit: what sort of vehicle suits your furry friend. Or friends, as the case may be. When I first started thinking about matching dogs to cars, I just about wrote sedans (saloons) off from the start. After all, you don’t really want a dog on the back seat standing up where it can snuffle down the back of your neck while you’re driving. Nor do you want to have scratchy doggy paws on lovely Nappa leather seats, because that would wreck them (the seat upholstery, I mean, not the paws!). However, I remember taking the Staffordshire Bull Terrier we used to have (RIP, old fellow!) in a sedan without any trouble. He was quite happy curling up in the footwell for most trips and didn’t try to sit on people’s laps (unlike the current bitzer). During longer trips, we also put him in one of those doggy carrying crates that sat nicely between my two children in the back seat of the sedan we had back then (probably a Ford Fairmont), which had the added advantage of stopping them hitting each other during long trips. What’s more, if you do have a sedan with leather seats in your possession already when you acquire a new puppy, there’s no need to sell the car – you can put down a nice blanket or doggy bed for Fido to occupy during the trip. If you do decide that a sedan is the best for you, then I really do recommend one of those doggy carrying crates. They do stop your dog deciding to stretch his or her legs by bouncing all around the place inside the cabin on a long journey, and you can fit a snack for your dog in there. They’re also easier to clean in the case of little accidents – meaning accidents of the canine kind, not car accidents. It’s obvious where the dog will ride if you have a hatchback, station wagon, 4×4 or ute. But it’s not quite as simple as that. There is a certain style that one has to consider and it’s nice if you can find a harmonious match between the dog(s) and the vehicle. You don’t see poodles or Chihuahuas standing on the deck of a ute (safely leashed, of course), bouncing up and down and yapping squeaky yaps at everybody going past. Jack Russell terriers and fox terriers maybe. But not poodles or Chihuahuas – or anything else small and fluffy (e.g. Bichons) or super-glamorous (Afghan hounds). The sort of dog that looks right on the back of a Toyota Hilux or a Nissan Navara is something rugged and tough and suggestive of the great outdoors – a farm dog (which aren’t an official Kennel Club breed but we all know what they look like) or a Dobermann or even a Labrador. Conversely, although a Great Dane might fit in the back of a little hatchback – if the back seats are folded flat – this is going to be just too much dog in one car. Besides, where are you going to put any passengers or your shopping where they won’t get slobbered on? Labrador Retriever: Your Labs are medium-large dogs and although they can fit in the back of a hatchback or across the back seat, they look best in something larger. It’s a cliché, but the suburban family SUV or MPV is a good match for the suburban family pooch. Staffordshire Bull Terrier: A smaller dog that fits cosily into the back of even a 3-door hatch but doesn’t look weird tied on the deck of a ute, so a Staffie suits all vehicle types. However, as a short-coated dog that’s a big softy in spite of the tough looks, a Staffie would prefer to be inside the vehicle on a rainy day. A hatchback suits a Staffie just fine. French Bulldog: Compact, French and a little bit quirky. I have just described one of the smaller Peugeots but it applies to the dog as well. A match made in… France. German Shepherd: A big tough dog that is probably just about smart enough to drive the car. Something with lots of space would do the job – maybe a nice long station wagon or a 4×4. 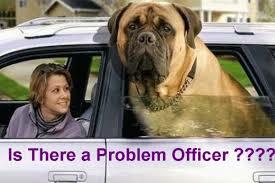 Put a German Shepherd in the back of a white Commodore or Falcon and you might get mistaken for a K-9 cop. Border Collie: Working collies go on the back of grubby farm utes. Show-type border collies are better suited to something classy with a hint of the outdoors – say, a Range Rover. Golden Retriever: See Labrador. However, as this has longer hair, best to keep it out of the back seat of the MPV or any humans who later ride in these seats will be forever trying to get the dog hairs out of their clothes. Cavalier King Charles Spaniel: Another breed that looks loopy on the back of a ute and is so small that it will get lost in the interior of a big 4×4. They love to snuggle up, so if the little hatchback is too small for you, the Cavalier King Charles Spaniel (big name for little dog) will be happy in a basket in a sedan. American Staffordshire Bull Terrier (Amstaff): Like the regular Staffie but bigger, like all things American. A muscle dog like the Amstaff looks best in a muscle car like your HSV or FPV. Miniature Schnauzer: A toy dog with a bit more fizz to it than a Cavalier etc., so not the sedan this time. Go for the hatchback of any type or the station wagon. Rottweiler: Go big. This breed can cause serious damage to a little hatchback if it decides to jump onto the bonnet. A station wagon at the very least; a 4×4 is even better but your Rotty will settle for an SUV. Rotties were originally bred for pulling carts as well as herding cattle, so make sure your SUV has enough towing power that it can pull more than the dog. If you’re about to become a parent for the first time – or if you’re revisiting parenthood after a long break (it happens) – then you might be wondering what sort of car is right for your new family. It’s not a stupid question. Once upon a time, it might have been all right to sling the carry cot across the back seat and make the older siblings share a seatbelt and/or ride in the boot, but you’d get in major trouble if you tried that today. They’re serious about car seats for children these days and the law says that children under the age of seven can’t wear an adult seatbelt – and even then, this depends on their size and height and some children may need a booster seat until they’re 12 or so. (As an aside, I’m kind of glad that they didn’t specify a particular height or weight for using a booster seat – some petite adult women, such as my 18-year-old daughter, may not meet these and who wants to sit their license while sitting in a booster seat?). Anyway, if you’re a parent-to-be, you mind may be buzzing with questions about what sort of car you need to get. And if it isn’t, it should be! A lot of first-time parents fall into the trap of putting a lot of thought and care into the birth plan and how they want the birth of their new baby to go. While this is all very well, what they don’t tell you (and what I wish I had known all those years ago) is that labour and birth only last (at most) one day. All the other bits about parenthood and life with a small child go on for months – years! So if you haven’t started thinking about what sort of car you need as a new parent, it’s time to give it some thought. There are a lot of things to consider and it’s easy to make a mistake. Let’s just say that there’s a possibility that you may have to put that little sporty roadster on hold for a bit and buy something more family-friendly. Been there, done that. We said goodbye to our old Morris (which would be an absolute classic and worth a mint today if we’d hung onto it) because the pushchair wouldn’t fit in the boot and got a Toyota sedan – which was then traded in when Child #2 came along because there was no way that anybody could sit in the front seat when there were two car seats in the back – and no room between said seats either! I’ve been watching my brother and his wife start to go through the same series of problems. Imagine that you could find someone who could give you all the advice you need – kind of like a motor-savvy big sister who can answer all those very practical questions even better than we can here at Private Fleet (although we try our best!). For example, if you’re expecting Child #3 and the eldest is still of an age to need a booster seat, or if you’ve got twins or triplets on the way, are there any cars out there that can fit three car seats across the back? Which cars provide enough leg room in the rear seats so that bored toddlers don’t try whiling away the time stuck in traffic kicking the driver in the kidneys? How do you know if the stroller will fit in the boot? Well, this sort of big sisterly advice is exactly what you’ll get from a great new site that’s linked with Private Fleet called BabyDrive (yes, this is a shameless plug for the site but no, I did not write it, although I wish I had, and I wish Tace the reviewer lived a bit closer than Queensland because she’d probably be my new BFF). This is a great site that has all the answers you need to do with choosing a new vehicle that will suit your new family – yes, it even tells you which vehicles can fit five car seats comfortably and which MPVs have the easiest access to the third row of seats. It’s the sort of thing I wish that I had on hand when I was a new parent – and I’d certainly recommend it to any parent-to-be looking for a new family vehicle. Like we do, BabyDrive reviews vehicles, but unlike us, they do it all from a parenting perspective. You won’t find the hot little roadsters reviewed here and the car reviews don’t cover torque or fuel economy stats much. However, each car is rated for driver comfort (you’ve got to love a review that tells you whether the headrest position works well with the typical ponytail hairstyle adopted by mums on the go! 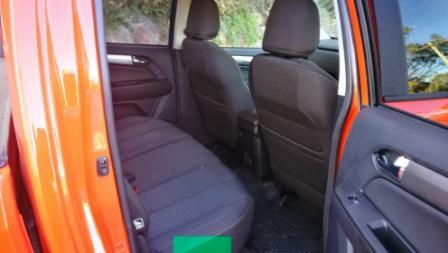 ), carseat capacity, storage, safety and noise. The reviews include some descriptions of driving as a new mother that will give you a rueful chuckle or two – even if you, like me, have your baby days well behind you. It’s the sort of review that we couldn’t do here on Private Fleet unless I kidnapped my baby nephew. We’ll tell you the other bits and pieces – as well as helping you score a great deal on pricing (another thing that’s appreciated by not just new parents!). The reviews feature a video segment as well as a written review – great for those who are more visually oriented. The noise review is particularly useful, especially given the tendency these days for cars to produce all kinds of beeps as warnings. If you don’t know about the old parenting trick of going for a wee drive to help soothe a fretful child off to sleep, you know it now! However, all the good soothing work of a nicely purring motor and the gentle motion of a car on the go can be undone by some wretched lane departure warning shrieking or a parking sensor bleeping, waking your baby up just as you get home. And yes, you will find some hatchbacks reviewed on BabyDrive! Of course, the big SUVs, MPVs and 4x4s feature heavily (and, as an extra piece of advice from a more experienced parent, these will stand you in good stead once your kids hit the school and teen years, and you have to take your turn doing the carpool run, or if you are ferrying a posse of teens to the movies or a sports match). However, if it’s not a “BabyDrive” (i.e. something suitable for small children), then it won’t feature! Check it out yourself at BabyDrive.com.au. 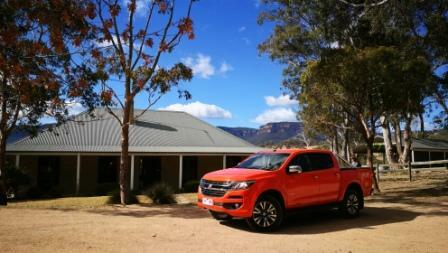 Holden‘s Colorado is a solid competitor in the 2 and 4 wheel drive ute market, Up against the Ford Ranger, Toyota HiLux, and Nissan Navara it provides a worthy alternative, especially in the three key areas: payload, torque, and towing. 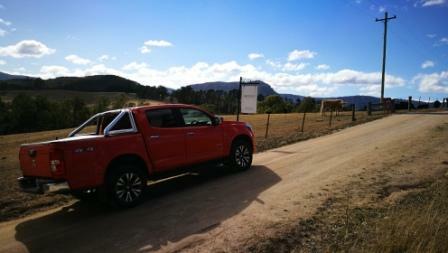 We drive the four door 4WD capable LTZ and visit a hidden secret in the massive and beautiful Megalong Valley. 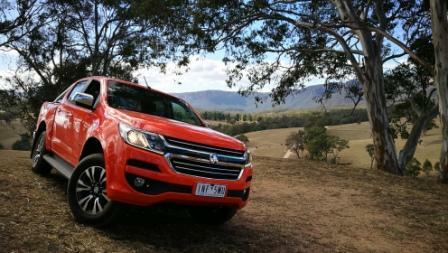 The Colorado has a 2.8L diesel engine. Badged Duramax it has a peak power output of 147kW at 3600rpm, but it’s the 500 torques from the twin cam four valve engine that’s the appeal.That’s an an eminently useable 2000rpm for the auto, with 440Nm available for the manual versions. Tank capacity is 76L and unfortunately it’s needed. The 5361mm long machine is no lightweight with a gross vehicle mass of 3150kg and a kerb weight of 2128kg with economy finishing on a surprisingly high 11.1L/100km. Being a smallish diesel that 500Nm is pretty impressive. 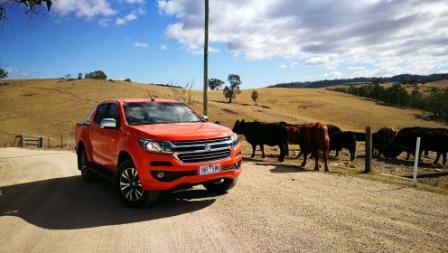 Consider the 3.2L diesel in Ford’s Ranger, that’s 470Nm and the same kilowattage. Nissan’s Navara produces 450Nm across the range of 1500-2500rpm. The smoothness of the drive-train is also impressive, with only a few hints of indecisiveness under way, and it holds gears on long downhill runs. It’s a reasonable puller on and off road, with tarmac drive manners subtle, restrained, and perhaps just a little slower than likeable off the line. Mid-range drive is understandably better and there’s a smooth progression though the gears, albeit with more noise up front than some others. Take it off road, onto some unsettled and rutted limestone style tracks, with gravel and marble sized coverings such as that found on the entry road to the beautifully located Dryridge Estate. This is at the far southern end of the Megalong Valley road, a twenty or so minute drive from Blackheath in the western fringes of the Blue Mountains. It’s a surface that needs the Colorado in 4WD to alleviate a loose tail end as in 2WD a loss of traction was not uncommon. 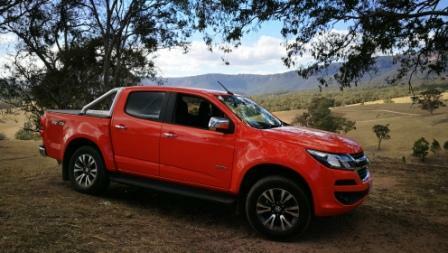 4WD High Range solved that and instantly the confidence level of the LTZ Colorado improved. Blind, tight, turns in 2WD had the pucker factor dialed up, but in 4WD the grip level hauled the big machine around and with nary a hint of fuss. For low range work a centre console dial is all that is needed. As there’s a proper mechanical transfer case on board the Colorado must be stationary before engaging 4WD low range though. 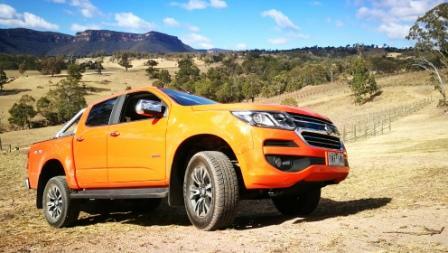 The Colorado LTZ has the typical spongy ride of a 4WD capable ute, not least in part thanks to the big rubber underneath. 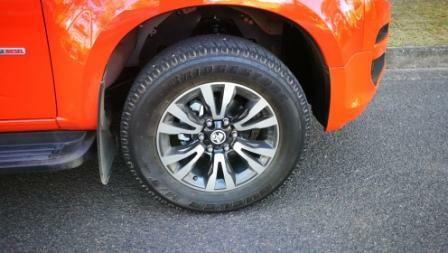 Bridgestone and Holden have had a long relationship and the Dueler H/T 235/60/18 is no stranger to the brand. The relatively high sidewall and softish compound add extra bounce and also does aid absorption of some of the smaller ruts and ripples found on tarmac and these gravelly surfaces. The steering ratio and the feel itself are better tuned than some others. Mitsubishi’s Pajero Sport stands out as one with a more rubber cord twisted feel left to right and back. 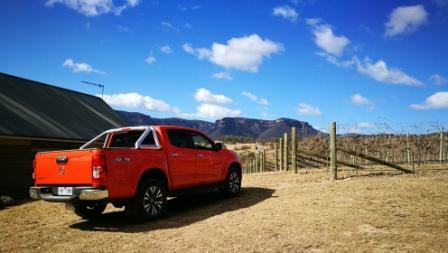 The Colorado is more agile and nuanced in its feel. On the run down to Dryridge Estate the need for a tighter ratio and feedback is crucial. The road is shrouded in shadow for most of the day and some of those coat the more difficult to negotiate turns downhill. 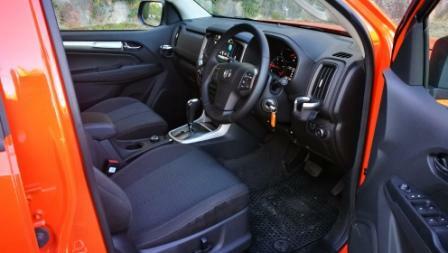 Here that response time and need to have a communicative steering is important and the Colorado LTZ delivers. On the gravel into Dryridge Estate the steering provided plenty of feedback too, with some of the ruts grabbing the front tyres and with the lack of freeplay the steering lets the driver know. Sadly it’s inside where it doesn’t. It’s generic GM and it’s frankly boring. The switchgear, the texture to the plastics, the reflection of the upper dash into the windscreen, and the driver’s binnacle are all without appeal. A word in certain levels that suits is “meh”. The seats are covered in cloth and the weave is a dullish dark grey print. 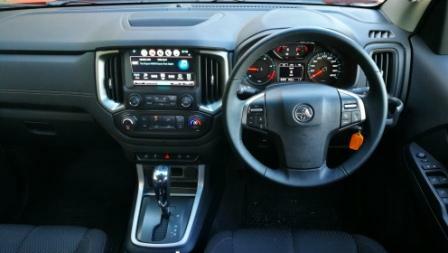 The steering wheel is slabby and isn’t helped by the muted tones of the rest of the interior trim. The dual zone climate control controls look the same as any in the GM family, but there are a couple of upsides. There’s Digital Audio Broadcast radio, otherwise known as DAB. The tuner in the LTZ performed well compared to others, with its sensitivity to the digital signal quite high. Sound quality was also good and the equalf of of some more expensive vehicles through the multi-speaker system. There’s also a plus for the amount of leg/head/shoulder room, app connectivity via Apple CarPlay and Android Auto, and the embedded apps too. There’s a soft tonneau cover fitted to the test car, and it’s a simple hook and loop system to remove or fit. The tub itself is huge and at 1790mm long, 1122mm wide between the arches, it’ll be capable of holding enough cargo to suit many applications. Towing is also class leading at 3500kg. Colour range is reasonable with the test car clad in Absolute Red, with silver, black, blue, white, silver, and a brown called Auburn Brown available. Safety isn’t overlooked and it’s a solid list from the Colorado LTZ. Forward Collision Alert, Lane Departure Warning, seven airbags including drivers knee kick it off. Tyre pressure monitoring is here as is the full traction control suite of electronic assistance programs plus front and rear park assist. Reverse camera at the rear and LED driving lights up front add to the safety factor. It’s family friendly with ISOFIX seat mounts too. Other family items such as a rear seat passenger friendly 12V socket, driver’s foot rest, and keyless remote start are welcome additions. 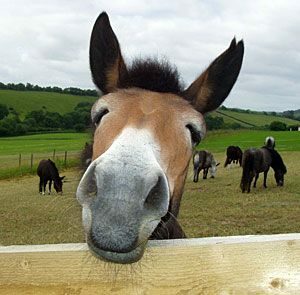 Hello, I’m a mule – the very first hybrid form of transport. In certain parts of the world – Europe, to be specific – governments have pledge to stop the sales of new cars that are powered by internal combustion engines only (aka ICE vehicles, where ICE stands for internal combustion engine). This means that any new cars sold in these countries will be hybrids or pure electrics. First, before we all panic and start stockpiling petrol and diesel because we aren’t ready to ditch our favourite sets of wheels yet, let’s clarify a few things. Firstly, Australia hasn’t made any such pledge yet, although certain political parties are starting to talk about it. Secondly, what will be phased out is the sale of NEW cars only. Presumably, second-hand car dealers will still have ICE vehicles sitting out in the yards (possibly quite a few of them if all the ones that have been kicked off UK roads make it over here). And they’ll still have to sell petrol and diesel to run (a) the older cars, (b) the diesel or petrol parts of the hybrids and (c) things like motorbikes that haven’t really caught onto the whole electric thing yet. Nevertheless, I don’t really want to jump on the “let’s phase out ICE cars” bandwagon. I don’t think we’re quite ready for that yet. First of all, there’s the issue of range in pure EVs. Mercifully, we now have enough charging points along the A1 highway so you won’t get stranded in the middle of the Nullabor, but even so, it takes at least half an hour to fully charge an EV. This means that your Great Australian Road Trip is going to take even longer than it would otherwise. Plan accordingly. 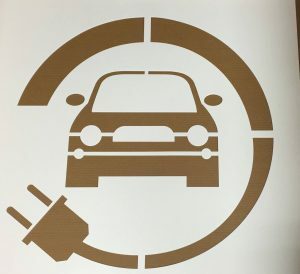 However, although the main highways around the perimeter are pretty well provided with charging points, there are bits of the country where the charging points are spaced out further than the typical range of an EV. This is not good news for, say, park rangers, farmers and rural nurses. The developers are going to have to really, really work hard to get better range for EVs before these groups are going to even think about buying one. I keep getting this mental picture of some rural midwife trying to head out to some rural woman going into labour but being held up by (a) detouring to the nearest charging point and (b) waiting for half an hour to charge her vehicle. Don’t even think about what would happen with emergency service vehicles. I kind of hope that the Powers That Be who are going to make the decisions about our national vehicle fleet go out and spend a day riding shotgun with some of the folk in our rural communities to get an idea of the distances they drive… and at least put in a few more charging points before they decide to kit out all the nurses with EVs. Not sure what they’ll be able to do for the park rangers. Carrying about a diesel generator to power up a vehicle in the middle of nowhere kind of seems to defeat the purpose of promoting EVs in the first place. Anyway, there’s another issue, and it’s one that affect those in cities as well. Now, the majority of EVs and hybrids are smaller vehicles. When it comes to practical commercial vehicles that your typical tradie can use, it’s a different story. Yes, there are some great hybrid SUVs available, such as the Volvo XC90 and the BMW X5 , but these aren’t your typical choice for a tradie. As for the Tesla X SUV… I, for one, would start wondering how much my plumber or electrician charges per hour if I saw him/her driving around in a high-end SUV. At least Mitsubishi and Nissan have some offerings, including a 2WD version of the Nissan Pathfinder and the Mitsubishi Outlander PHEV (which is reported to be the most popular hybrid/EV in Australia). 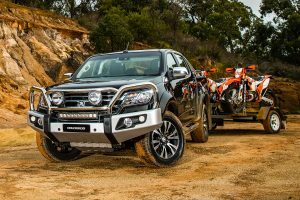 Your typical electrician, plumber, builder or landscape gardener usually prefers to drive a ute or van, preferably one with lots of torque to tow a massive trailer as well as lots of load space. I know this all too well, as the other half is a landscape gardener and I’ve seen the amount of gear he carries in the trailer and carts around in various bits of the trusty dual-cab Navara ute. Given what your typical tradie charges per hour – which has to be affordable in order to be competitive – new cars aren’t usually on the cards. A phase-out of ICE vehicles would mean that second-hand vehicles would still be an option for your tradies… but what happens further down the track? 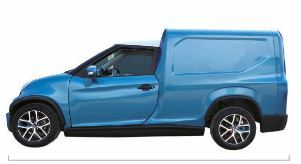 If nobody’s bought brand new hybrid/EV utes and vans then there won’t be any second-hand ones for your small-scale tradies to purchase. Let’s hope that if the phase-out happens, larger operators will get themselves a fleet of hybrid utes and vans that can then go on down the line. Either that or the banks are going to have to be nicer to owner-operator tradies so they can finance something brand new. At the moment, there aren’t a whole lot of hybrid or electric vans and utes out there on the roads – at least not yet. 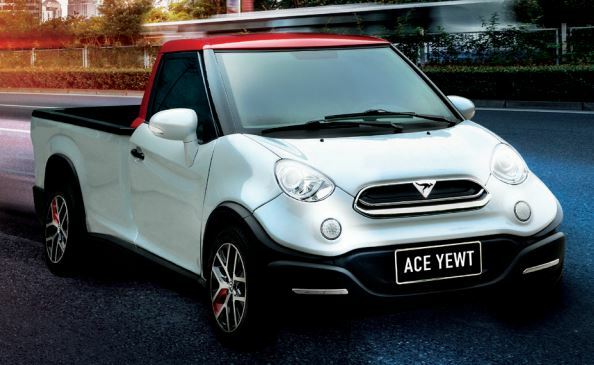 Renault has one electric van that’s going to arrive very soon, Haval has plans for a hybrid ute and there’s even talk about a hybrid version of my favourite tradie’s beloved Nissan Navara. But they’re still in the future (we’ll let you know when they arrive). Even if a big construction company wanted to kit all of its builders out with hybrid or electric commercial vehicles as soon as they hit these shores, this would still be some way off. There’s also the issue of all the investment and research into biofuels, but that’s worth taking another whole post to discuss. In short, it’s too soon to talk seriously about phasing out ICE vehicles in Australia simply because we don’t have enough suitable new replacements for the current vehicle fleet that have the range and the practical ability of the petrol and diesel units currently available. Although your Green Party members living in the city could probably make the switch to purely electric vehicles tomorrow and not be affected (and I hope they’ve already made the switch and put their money where their mouth is), there’s a significant proportion of typical Aussies who can’t make the switch yet and will have to stick with ICE vehicles for a while yet. Be patient, folks. Although there may come a day when hybrid vehicles and EVs triumph, today is not that day.